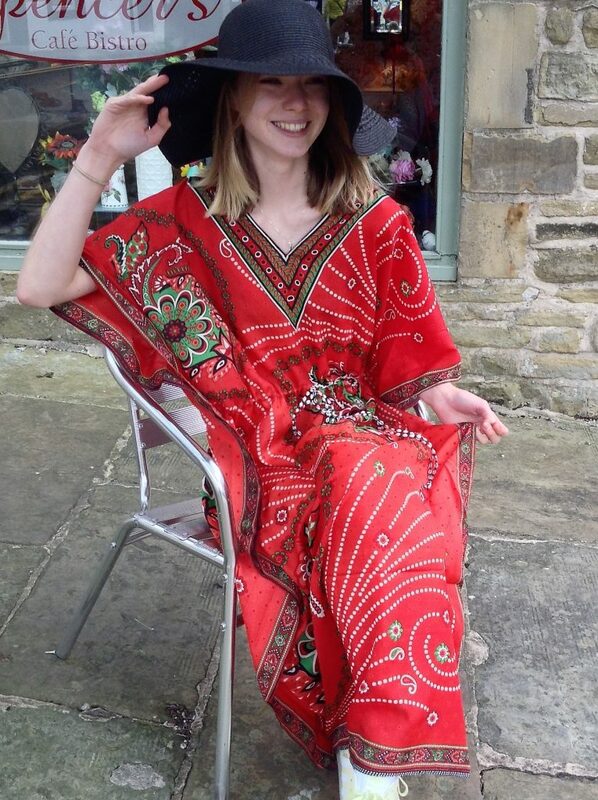 This kaftan has been one of our best sellers, made from a heavier weight viscose with Embroidery detail around the neckline down to the waist and along the hemline. there is a double line of braiding down the sides. The work on this garment is Handmade, as such slight variation in Pattern or colour is Natural but with special care this delicate garment will remain an attractive addition to your collection. I have just received my red elephant kaftan it’s lovely. I would recommend this to all.